The 100,000th Volvo S90 rolls off production lin. 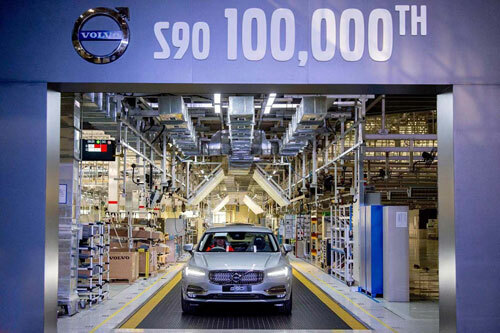 December 3, 2018, Daqing, China – The 100,000th Volvo S90, a bright silver right-hand-drive car ready to be exported to the UK, has rolled off the production line in Volvo Cars' Daqing plant, marking a milestone for the company. As China's first and only premium car maker exporting cars to the European and US markets, the S90 models are exported to nearly 70 countries and regions including Europe, America, Australia, South Korea etc. 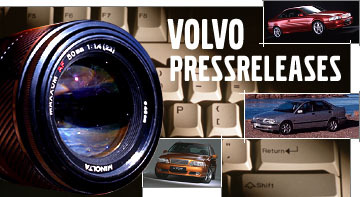 This event has demonstrated that Volvo Cars' Daqing plant is capable of producing high-quality premium cars. It also reflects the recognition from global consumers of China-made products. "This is a truly significant event and the S90 is a milestone product for Volvo Cars," said Xiaolin Yuan, president and CEO of Volvo Car Asia Pacific. "The importance lies in the fact that S90 not only serves Chinese consumers, but also exports to the global market with the same premium quality. "We are confident and fully committed to producing the best quality cars for our consumers across the world and will continue our growth in China." From January to October this year, sales for S90 worldwide amounted to 47,811 units, with a year-on-year growth of 40.8 per cent. It is also one of the fastest growing and most popular models in its segment in China. The S90 received the Geneva Motor Show Annual Production Car Design Award in 2016, Red Dot Design Award in 2017 and most recently in 2018 it was awarded China's Car of the Year. Volvo Cars' Daqing plant is one of four manufacturing plants in China and it plays a key role in the company's global manufacturing strategy. Since the plant started production in June 2015, it has created more than 2500 local jobs and a total of 4000 jobs together with our suppliers. Volvo Cars Daqing plant, located in Daqing, Heilongjiang Province, northern China, covers an area of 833,000 sq m.
It includes a stamping shop, body shop, painting shop and assembly shop, logistics centre and quality control. It is the first SPA (Scalable Platform Architecture) of Volvo Cars in China, starting production in November 2014, mainly producing S90 models. Since the Volvo Car Daqing plant started production, it has created more than 2500 local jobs and a total of 4000 jobs together with our suppliers. Volvo Car Daqing plant follows the global manufacturing system, Volvo Car Manufacturing System (VCMS) and the Global Quality Operation System (GQOS). S90 had cumulative sales volume of 47,811 units worldwide in the first 10 months of 2018, with a year-on-year growth of 40.8 per cent.